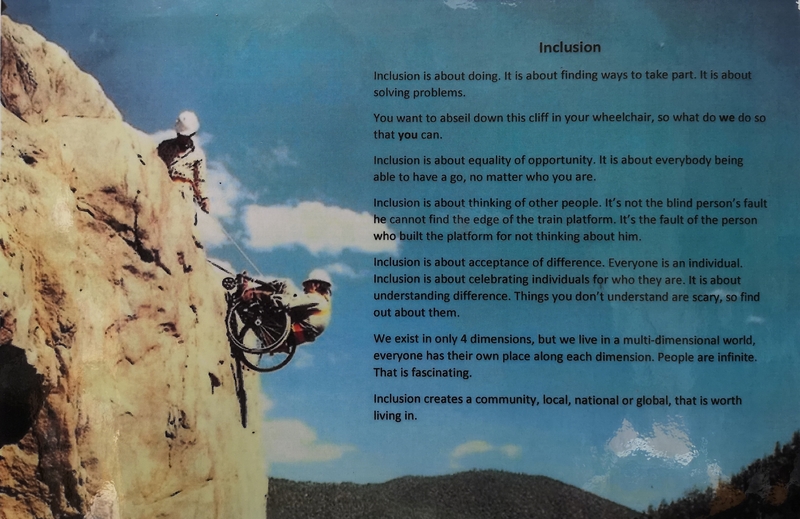 Inclusion is about doing. It is about finding ways to take part. It is about solving problems. You want to abseil down this cliff in your wheelchair, so what do we do so that you can. Inclusion is about equality of opportunity. It is about everybody being able to have a go, no matter who you are. Inclusion is about thinking of other people. It’s not the blind person’s fault he cannot find the edge of the train platform. It’s the fault of the person who built the platform for not thinking about him. Inclusion is about acceptance of difference. Everyone is an individual. 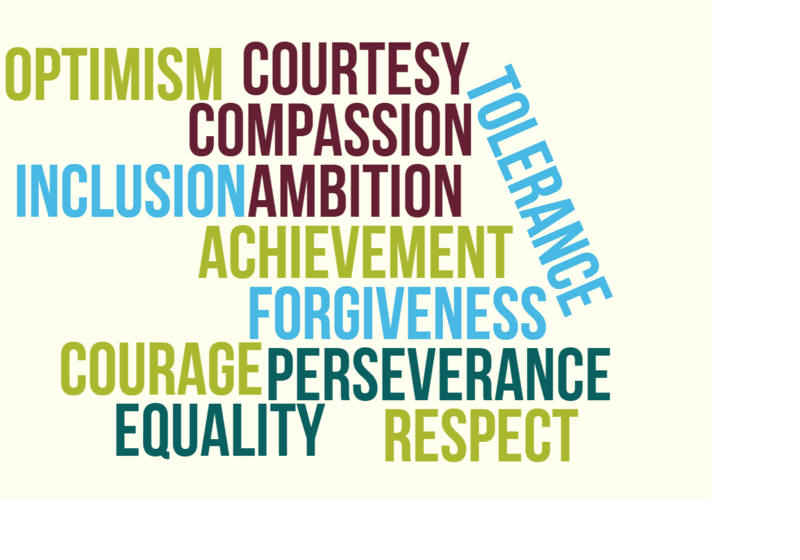 Inclusion is about celebrating individuals for who they are. It is about understanding difference. Things you don’t understand are scary, so find out about them. We exist in only 4 dimensions, but we live in a multi-dimensional world, everyone has their own place along each dimension. People are infinite. That is fascinating. Inclusion creates a community, local, national or global, that is worth living in.